Fabulous 5th Grade Fun: To Do List...Techie Style! 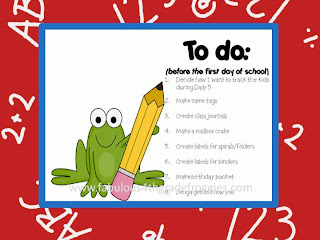 I'm so excited that Lorraine from Fabulous Fourth Grade Froggies is having her "To do" list linky again! I had to do a walk down memory lane. As some of you may know, my position is changing this year. My linky will be (sniff-sniff) not about organizing my classroom, but about my transition to an Instructional Technology Specialist! I do hope that this is an interactive "To do" list! What do you want from your Instructional Technology Specialist? 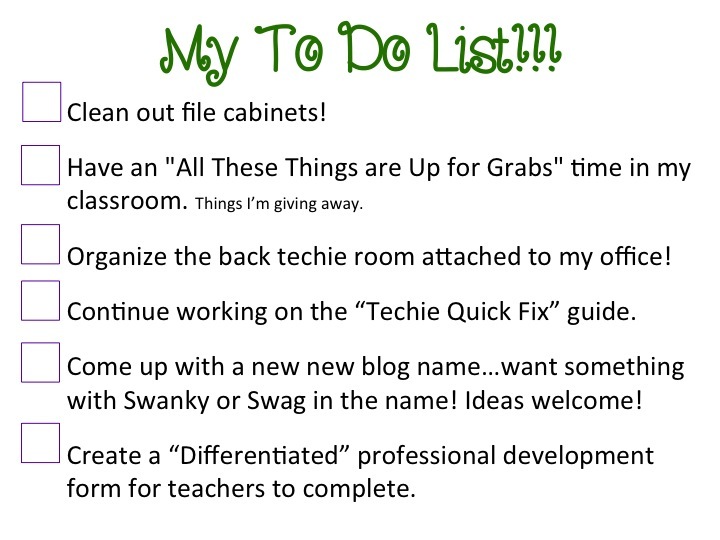 Here is the "Techie Quick Fix" I'm working on for our teachers. It is going to be several 1/2 size instructional sheets on a ring. I know, not very techie! I personally liked to have a quick reference sheet near my computer. 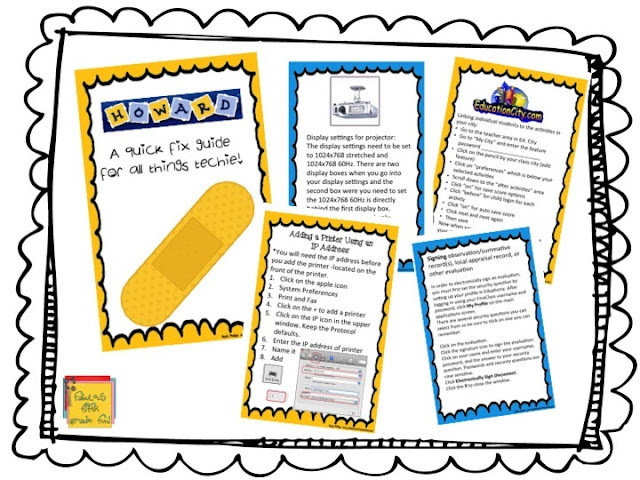 As a classroom teacher, I did not always have time to go search on the computer for the answer to questions. So....I created the "Techie Quick Fix. 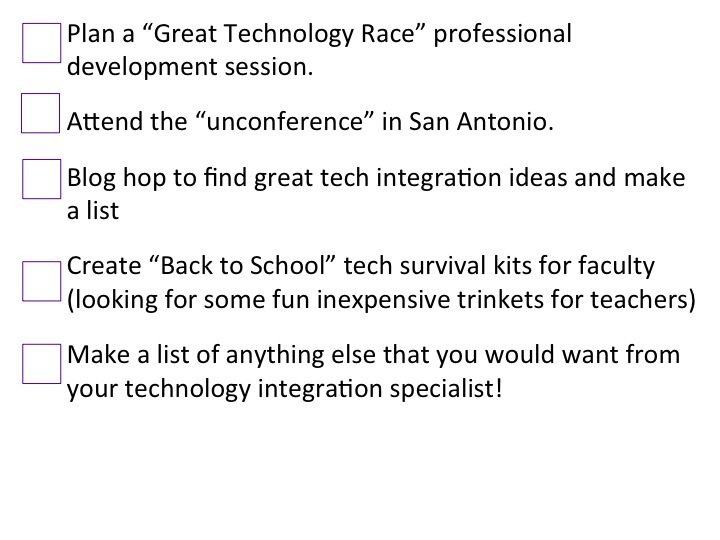 Additional tech blog name? What do you wish your ITS would do or share? Ideas for a BTS techie gift bag? It looks like you have everything under control. That's a pretty in depth list. :)Happy Fourth! I like those quick fixes...the only thing I'd add is "make sure everything is plugged in and wires are secured and attached. I swear, that is the number one issue I encounter with teachers. Love it! I think I will put that one right behind the cover! Gotta find a cute plug clipart! It looks like you are really prepared for your transition! Best of luck with your new position.